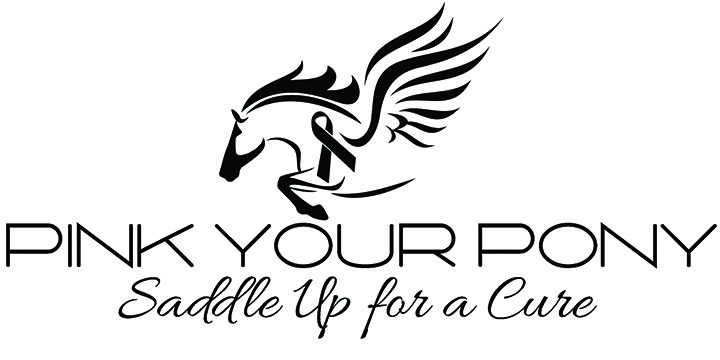 Join breast cancer survivor Dawn Galia, and others at the Fourth Annual Pink Your Pony Saddle Up For A Cure. This unique event will be held on Saturday, October 10 at Bay Lake Stables, owned by Gary and Cindy Timbles. The stable is located at 4617 Garland Branch Rd. in Dover. Registration is at 9 a.m. and the cost to participate is $15. Lunch which will be provided by local greats such as Dragon Fire BBQ, Jute’s Box Bakery and more for $5. Participants do not have to be a trail rider to support the cause. Guests can be a non-rider and come out and enjoy lunch, buy raffle tickets and get one of the first ever T-shirts (creatively designed by Dianna Galia). As the name of the event suggests, riders are encouraged to “pink” their ponies. There will be prizes for the best decorated pink pony. For riders, the two hour trail ride will take them along the Dover Road Trails. All proceeds from this year’s event will benefit the Brandon Outreach Clinic. Last year the event raised $3,500 for the Outreach Clinic which provides screening, diagnosis and treatment for women in our community who cannot afford it. As the event grows (there were just 12 riders the first year, 40 the second and 80 last year), more and more individuals and businesses are becoming involved. This year, Brandon Equine Medical Center will be providing a vet for the day. Kelly Hall Healing Alternatives will be there; she is a barefoot farrier and will have a lot of valuable information. Total Imaging will also be there explaining the importance of yearly mammograms. For more information, contact Galia at 841-1409 or djgalia@gmail.com.